In many homes, mornings can be a hectic rush to get out the door. With the chaos of trying to get the kids off to school and make it to work on time, breakfast may occasionally—or frequently—be overlooked. But if that’s the case in your household, you might want to rethink your morning schedule to ensure you’ll have some time to eat a little something. New research suggests that missing breakfast even once a week can elevate your risk for diabetes. The study, which took place at Heinrich Heine University in Dusseldorf, Germany, found that the likelihood of developing type 2 diabetes increases in people who skip breakfast once a week and jumps considerably higher when breakfast is skipped multiple times a week.1 These results are based on an analysis of six different investigations that examined breakfast consumption and diabetes risk. The studies had a combined total of 96,175 participants, and 4,935 of those individuals had been diagnosed with diabetes. The researchers found that forgoing a morning meal one time per week was linked to a six percent higher risk of developing diabetes—which may not sound like a lot. But the risk rose with each additional day of missed breakfast, topping out at a whopping 55 percent greater diabetes risk in those who skipped that meal four to five times a week. After that point, missing the sixth and seventh day resulted in no greater risk. It would seem that diabetes only works a five-day week. Why would breakfast make such an impact on diabetes risk? After many hours without eating overnight, the food you consume in the morning revs up your metabolism for the next few hours. 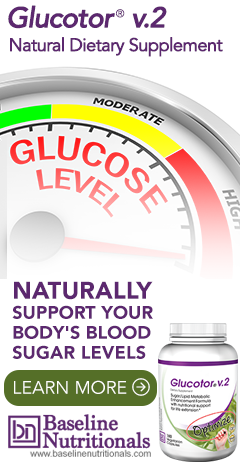 Through the night, with no food intake, your blood glucose levels drop. In the morning when you eat, however, your body goes to work converting the incoming foods into sugar to use for energy. The pancreas boosts the amount of insulin it produces and regulates blood sugar levels accordingly. But if you skip breakfast, it can delay those vital steps in the process and fail to properly balance blood sugar until much later in the day, thus raising your risk. The findings of the current investigation are in line with those of earlier research that also connects missing breakfast with diabetes. For example, a 2013 study at the University of Colorado in Boulder showed that not eating breakfast may increase the risk of developing diabetes in overweight women. Interestingly, though, the present research diverges “somewhat” from previous findings that obesity on its own is a risk factor for type 2 diabetes. In the current study, an association was found, but it was only part of the picture. While having a higher body mass index did increase the chance of developing diabetes, it was not as significant an indicator of the condition in those who skipped breakfast regularly as has been shown in other investigations. In any case, while obesity can certainly affect diabetes risk, these studies suggest that even people with normal BMIs can be at increased risk of diabetes when they skip one or more breakfasts a week. Ultimately, this is a good reminder that breakfast is an important meal and we need to set aside a little morning time to have something to eat. But remember, what we choose to consume is just as significant as whether we are having breakfast. Indulging in a doughnut on the way to work or a quick bowl of high-sugar, low-fiber cereal is not going to benefit your body at all. Instead, plan ahead just a little and you can have a morning meal that’s quick, easy, and nutritious. Blend up a quick protein smoothie; eat a bowl of oatmeal made from oat groats or steel-cut oats with fresh berries; or whip up an omelet with vegetables. Just commit to eating a healthy breakfast every day so you get a good healthy energy boost and lower your diabetes risk to boot. 1. Ballon, Aurelie; et al. "Breakfast Skipping Is Associated with Increased Risk of Type 2 Diabetes among Adults: A Systematic Review and Meta-Analysis of Prospective Cohort Studies." Journal of Nutrition. 9 November 2018. Accessed 29 December 2018. https://academic.oup.com/jn/advance-article-abstract/doi/10.1093/jn/nxy194/5167902. But how does this gibe with the latest fad of intermittent fasting, where you skip breakfast and eat only during a small window of time? That's supposed to reduce your risk of diabetes. Hello. As a personal perspective I have missed breakfast or eaten a piece of fruit only for over 30 years almost every day each year. But I had very good health to start with so one probably should cleanse and rebuild before going that route. I don't crave food, in fact am more comfortable if I eat nothing or a small amount that is "light" and easy to digest. Often that "light" snack is late morning after doing several hours work. I generally lead a very active lifestyle. Perhaps this is partial possible due to eating a large meal the evening before. Some may find it interesting to study the Circadian Rhythm concept. My diet is mostly raw vegan fare. I'm grateful to have found the answers years ago because life has been basically sickness free. The only times when I have had some congestion or abrupt cleansing symptoms have followed a temporary deviation from a clean diet which some years has happened during the Christmas Holiday season due to family dinners with relatives. All animals in nature eat unprocessed, simple foods and are healthy their entire lives unless exposed to human caused pollution. The two big health destroyers that we should be more concerned about even if we are healthy are nuclear waste and electromagnetic pollution. Those two are becoming increasingly hard to avoid. Other things we can avoid by diet and lifestyle choices. However even the effect of those two can be reduced. to an extent. Check out the work of Ken Rhola for example. I try and remember that every problem has a solution. Sometimes the solution is hard to reach but often not. There are numerous studies showing that Intermittent Fasting is anti-aging and pro-longevity. Going without food for 12-16 hours 2-3 times a week accompanied by a low carb diet lowers insulin, decreases fat mass, and increases ketones. It would appear on the surface, that this study has some confounding factors that increased the risk of diabetes (people were overweight, ate flour & sugar, did not exercise, had high stress). I would question the data of this study, and how it was derived. Or could it be that if you are only skipping breakfast occasionally, you are creating cravings for more refined carbs when you do eat? Intermittent Fasting has also been shown to lower diabetes risk. With IF, your body gets used to it and craves less sugar. Since IF and eating breakfast are generally mutually exclusive (except perhaps for the few who engage in early IF and stop eating in the early afternoon)....and they both have scientific studies to back them up re lowering diabetes risk, surely there could be another reason for the results of skipping. - not just the blanket statement that eating breakfast is a must. I have the same question, how does this fit with the latest studies showing that intermittent fasting is very healthy, can heal chronic inflammation, and can even reverse diabetes? And what do you mean with "After that point, missing the sixth and seventh day resulted in no greater risk. It would seem that diabetes only works a five-day week."? It means that 6 or 7 days the risk is equal to 4 or 5 days, or it means that if you skip breakfast everyday the diabetes risk doesn't exist? I have had tremendous result and got great counseling from Dr Jason Fong, Dr Pompa and others. IF is an almost irrefutable fact, tried by many and by us. I eat 1/1 day, and then 2/1 day, making this pace acceptable for me. And I'm 60, and totally healthy and enjoying every second of my active life. Skipping breakfast can only give chance to the organism to do what it is supposed to - to maintain itself, clean and mend, repaire and improve. If we burden it with constant digesting, it is a most direct path to modern diseases and suffering. And we see it too often around us. that rejuvenates the cell at the atomic level.